Sebastopol's Barlow marketplace kicks off its summer street fair season Thursday, June 18, with scores of food and retail vendors and live music from the Pulsators. 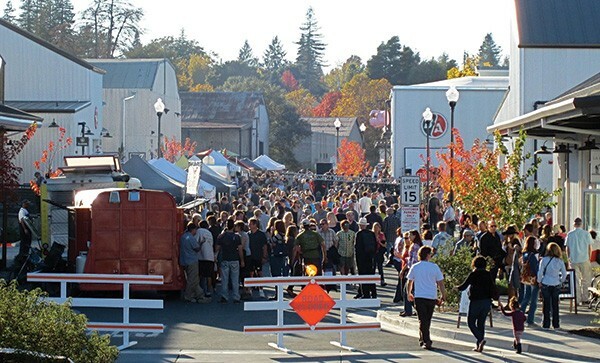 The street fair runs Thursdays from 5pm to 8pm through Sept. 24. Last year, the fair featured about 20 food vendors offering everything from paella to raw oysters. McKinley Street is blocked off to cars, and dining tables are set up for an al fresco, street-party vibe. The Barlow's resident restaurants, winetasting rooms, brewery and other vendors are also open during the fair. Upcoming musical acts include the Al Molina Jazz Sextet (July 2), the Foxes in the Henhouse (July 23) Sol Horizon (Aug. 6) and the Gator Nation (Sept. 17). The final show, on Sept. 24, will feature the Blane Lyon Band with Barlow developer Barney Aldridge.